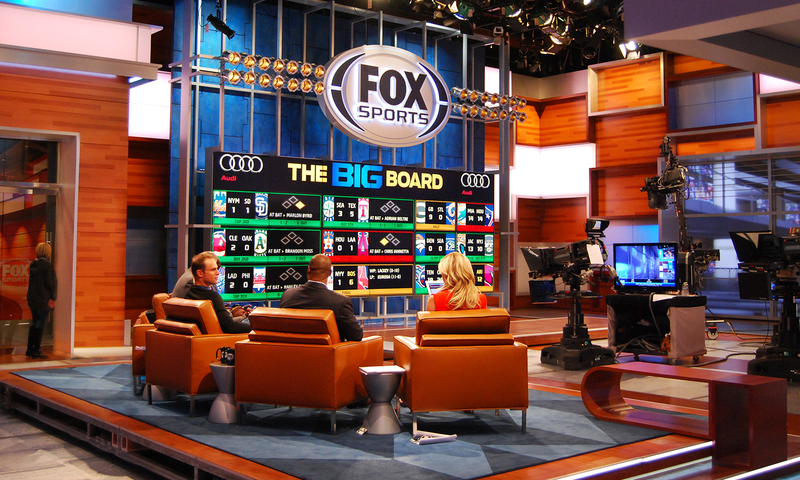 Sports fans are insatiable, so why not give them what they want? 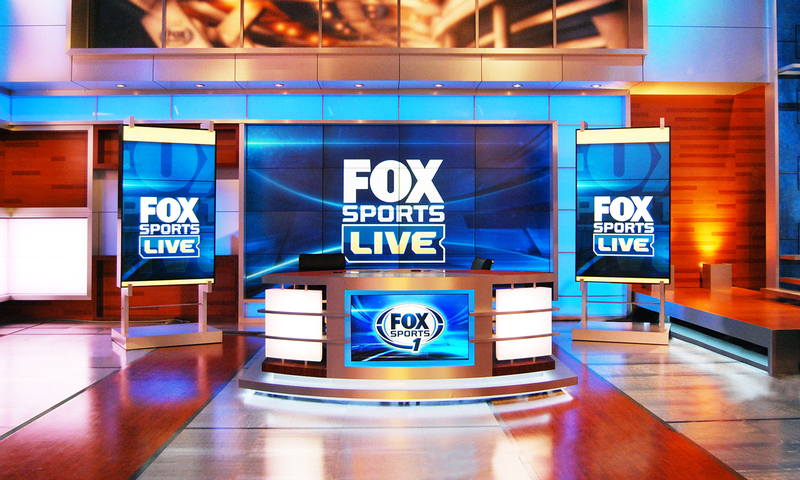 FOX Sports 1 is the home of 24-hour multi-sports coverage. 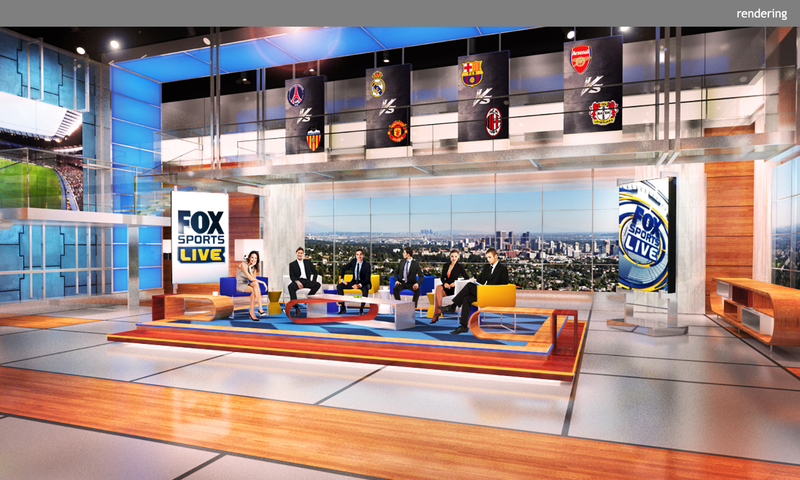 The informal “lounge” platform is the focal point of the set, visually supported by a “vistawall,” a gantry, and tracking monitor panels that can be raised, lowered, combined, or separated to create a unique, reconfigurable environment. 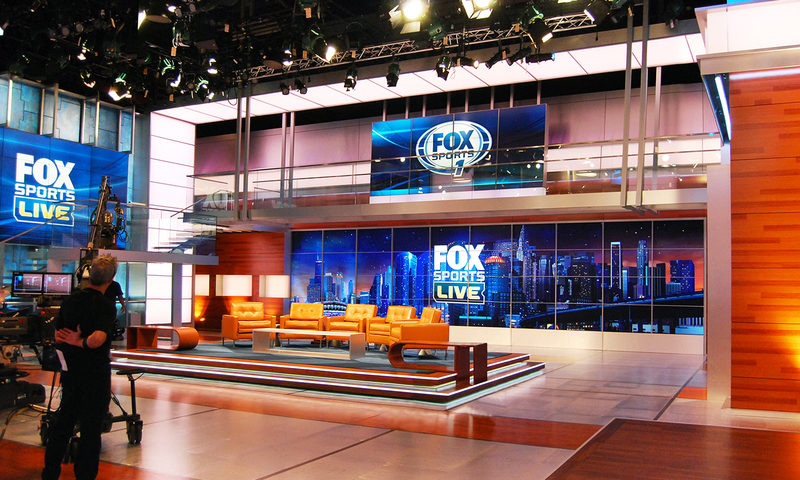 Multiple monitor arrays and a more formal desk area provide additional flexibility to the set. 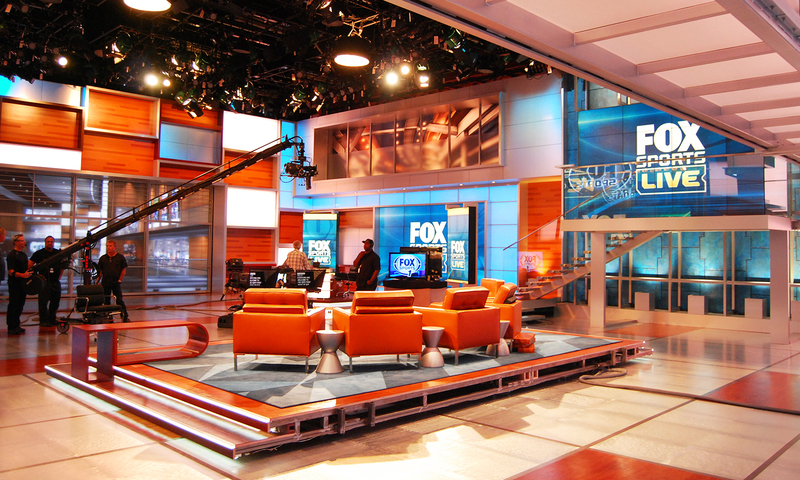 The set complements the adjacent Stage A, echoing its warm palette of materials and textures.